Poetry Friday: The 2017 Progressive Poem, in all its seafaring, dragon-drama glory! Irene Latham‘s annual Progressive Poem wrapped up last weekend! Each day throughout April a different person would add a line until we finally had a complete, 30-poet poem on April 30…and as always, there were a few surprises on our way to the finish line. One never knows what form – if any – the poem will take when the first person (in this case, Heidi Mordhorst) starts things off. Perhaps it will be metrical, perhaps not; maybe it will rhyme, maybe not. This year’s poem jumped back-and-forth, particularly when it came to whether or not to rhyme – some lines did, others didn’t, depending on what each writer decided to do with his/her line. You can also visit Irene Latham’s blog, Live Your Poem, to see all of the past 5 years’ Progressive Poems. And for today’s complete Poetry Friday roundup, head on over to Jama Rattigan’s Alphabet Soup! Irene Latham‘s annual Progressive Poem wrapped up last weekend – but I couldn’t let pass the opportunity to share it in full! If you are unaware of what I’m talking about, allow me to explain: during the month of April, different writers took turns adding a line to the poem each day – and Donna from Mainely Write put the bow on it last Saturday in pure, unexpected poetic style! If you’re looking for more poetry, you’re in luck! Sylvia Vardell is hosting Poetry Friday today, so head on over to her place for the complete list of links along with a special Mother’s Day celebration! I have a quick favour to ask you. It won’t take long, unless you enjoy it. First, it’s been an another insanely busy week (I know, I’ve said that before, but I really mean it this time!) I recently wrapped up a marathon radio commercial production project for a good client of mine, American Cottage Rugs. I recorded the owner interview-style, sorted through the 45-55 minutes of her audio, and ended up producing 27 – yes, 27 – radio commercials. Whew! Plus, I have been trying to finish up a picture book manuscript and get some new query letters sent out to potential publishers – and I’ve got two other books AND a poetry collection I need to work on. I’m also in the process of tracking down at least five dozen young adult and middle-grade graphic novels (that’s right, I said five dozen!) as part of my responsibilities as a 1st-round panelist for the CYBILS Awards. Oh, and did I mention my wife and I have only been getting 2-3 hours of sleep each night for the past week? It seems our daughter is apparently suffering from something called “separation anxiety” – which means it takes us 2-3 hours to get her to fall asleep, and when she wakes up 3 or 4 times during the course of the night, it’s almost impossible to get her back to sleep. Oy. Anyway, somehow in the midst of all this I managed to finally get my website updated – and this is where you come in! If you have the time and interest, I’d love for you to check it out and see what you think. The biggest change is the landing page, which allows the viewer the option of choosing my voiceover site or my children’s writer site. If you’ve ever had the uncontrollable urge to learn more about me, your dreams have come true, right HERE! Thanks in advance, and I hope you’re enjoying these cool, colorful autumn days! If you are a voice talent, voice actor, voice artist, voiceover professional – heck, whatever you call yourself – you should know about FaffCamp! It’s a professional development conference organized by the same folks who orchestrate the hugely popular “un-conference,” FaffCon – and it’s a tremendous opportunity to network, learn, and be inspired in a fun, relaxed setting. There are two ‘tracks,’ so to speak – one for seasoned pros and one for those who are just starting to get into the voiceover industry – so there really is something for everyone. Even if you work with, hire, or produce voiceover pros, you’ll probably find something of interest at this conference: ad agencies, eLearning providers, and even copywriters are encouraged to come check it out! If you’re interested, don’t delay! Registration closes July 11 – and since it’s being done Kickstarter-style, if they don’t get enough registrants to break even by that date, they’ll have to cancel the event. So click the image above for all the details, and don’t miss Faff Camp II! I’m proud to have been a part of the Progressive Poem (having added line #8). Because reading a poem and hearing a poem can leave one with different impressions and feelings, I offered to record a reading of the poem and share it here with readers and fellow bloggers. Fellow writer and blogger Renee LaTulippe will also be recording a reading of the poem – so it will be interesting to see how (or IF) the male perspective differs from a female one. I’ll be sure to share the link of her recording, once it’s available. You can read the entire poem HERE, and be sure to check out all the other Poetry Friday happenings at Jama Rattigan’s place – she has a beautiful tribute to her mom, plus enough strawberry shortcake and tea for everyone! CRIME POETRY: Yours Truly was featured this week! If you had a chance to catch my interview with crime poetry editor/poet Gerald So a couple weeks ago, you’ll recall we discussed crime poetry, what it is and what he’s been doing over at The 5-2: Crime Poetry Weekly. I’m proud that he liked a poem I submitted enough to share it with his readers as this week’s featured poem! To read the poem, “To the Accused,” as well as hear me reading it, click HERE…I hope you like it! I’m posting this short blog entry a day early this week, as I wanted to let you know that The 5-2: Crime Poetry Weekly has published a new poem of mine on their website! It’s titled, “To the Accused,” and will be featured on the home page all this week. If you had a chance to catch my interview with crime poetry editor/poet Gerald So a couple weeks ago, you know what crime poetry is and what he’s been doing over at The 5-2. I’m proud that he liked my poem enough to share it with his readers. To read my poem as well as hear me reading it, click HERE…I hope you like it! …and so forth. The answers, while simple, could be more elaborate if I wanted to take the time: Yes; almost forever ago; and because I have no other choice. It’s not that I don’t want to take the time to offer more detailed responses; it’s just that most people aren’t really looking for that. It’s like when the cashier at the grocery store asks, “How are you?” She’s expecting a nice, short, “Good” so she can continue on about her duties. If you respond with, “Well, my dog died, I lost my job, and I just found out my wife is cheating on me with someone from the NSA…want to hear about it?” chances are, she’ll drop the eggs on the floor and not know what to do. Better to keep the answers safe and simple, and not throw any curveballs. But since this is my final blog post for National Poetry Month, I thought perhaps I could expand on some of my answers and try to explain – especially to non-poetry types – why poetry is not some sort of worthless academic pursuit and can actually be beneficial in your life. Thinking like a poet: how? First of all, it helps to think like a poet. Understanding poetry means understanding that there is always much more to life than just…life. By that, I mean, everything you see, touch, or experience is much more than what it appears to be. A nonfiction writer friend once asked me to help her think like a poet. She wanted her writing to be less dry and a bit more creative and lyrical. So as an exercise, I placed a small, empty, white plastic coffee creamer cup on the table and asked her to make a list of everything that came to mind. Not just adjectives describing the cup, but every word, phrase, or vision that popped in her head – even if it didn’t make sense. I did the same, and timed us both for 2 minutes. The exercise demonstrated that while she saw things as they were, I saw things as they could be. Just that one lesson opened her eyes as to how a creative type such as a poet views the world: with imagination, curiosity, and an open-mindedness that allows us to believe anything can be more than it seems. Indeed, there is more to nearly everything than meets the eye – and if you are willing to take the time to observe long enough, you can begin to view life through a poet’s eyes. Thinking like a poet: why? This is where things can get really interesting. I’ve found, over the years, that having a poet’s thought process allows me to conceive ideas from angles that others may not see. This has been especially useful in radio copy writing, believe it or not. On more than one occasion, I have had to come up with commercial scripts that are unique, attention-getting, and most importantly – relatable to the listener. While different copy writers use different means to find an emotional connection with the listener for the product or service about which they are writing, I find that thinking like a poet (e.g., trying to find connections and imagery others might not see) has served me well. Not that thinking like a poet means you have to rhyme – I’m primarily talking about thinking more creatively and making unusual connections – but let me share an example of how poetry really did work in my favour. A local restaurant needed to let people know they existed – their location, while prime, was at a 4-way intersection and easy to miss. But it was a small, family-style restaurant that, at first blush, did not appear to offer anything out of the ordinary. Note two important things about why this commercial worked and most rhyming commercials don’t: One, I kept the lines metrical. I was very careful about keeping the script flowing and fun – too many words per line (or the wrong words) and the commercial would just collapse under its own weight. The other thing I did was refrain from using “easy” rhymes. I could have written a line that ended with “toast” and rhymed it with “most,” or used “steak” and “bake.” but that would have made the commercial sound cheesy and predictable – which I definitely did not want. The unusual rhymes and bouncy cadence of the verse is what made the commercial work, in my opinion – and although any person could write a rhyming commercial, without the skill of writing metrically and knowing how to rhyme effectively, the commercial would not have been as humourous or, more importantly, as effective. Thinking like a poet: when? All the time! The more you start to actively think about the things around you – from your home and family to things as simple as the car you drive, the road you travel on, or the food you eat – the more you’ll start becoming aware of all the possibilities for inspiration there are out there. Yes, these are pretty random questions – but they can be examples of ways of thinking beyond what is comfortable and concrete. Question why an apple is red, but not because of any botanical reason. Imagine what love would look like if it could be held in your hand. Wonder to yourself how to describe music to a deaf person or a sunset to someone who has been blind from birth. Think about that little coffee creamer cup, and see what you can create out of it in two minutes. You might surprise yourself! I started reading picture books of poetry as a child, and began writing poetry in earnest in high school. Since then, I’ve written poetry and songs throughout my life because I have a compulsion to do so. Most writers will tell you the same thing, too – that they write because they have this urge inside, this burning desire to get something in their head out on paper. Poetry can be quite hard to write, but also immensely fulfilling. Even short, 3-line haiku poems, which might seem simple, are much more complex than they may seem. Sort of like humans. And come to think of it, that observation might make a good poem. Only TWO DAYS remain to poet Irene Latham’s 2014 Progressive Poem! Each day throughout the month of April, a different poet has added a line to the poem, and we are very close to completing our journey! Well, sure, a $500 commercial and a $50 commercial may have a difference of $450…but that’s only a small part of the story. If you are a business that seeks professional creative talent (voiceovers, graphic art, anything) on a regular or even semi-regular basis, you should remember there is much more to a quoted rate than just dollars. In fact, dollars are merely a sign of underlying value – or lack thereof. That’s not to say that the more expensive a service is, the better it is; we can certainly all point to circumstances that prove otherwise. There is something to be said, though, about what makes up a rate, what goes into it, and what needs to be removed in order to make that rate lower. I’ve heard many folks claim – falsely – that voice work is easy because you just ‘speak into a mic.’ How hard can it be, they say, you’re just reading! These people don’t understand the importance of tone, timing, inflection, energy, and dozens of other factors that go into voicing a script in order to make the most of that script. They don’t realize the necessity of reading a script before recording and correcting typos, misspellings, and punctuation and grammar errors. They don’t understand why a line might need to be recorded two or three times and then edited together to make it sound like one line. They certainly have no idea what ambience, mouth noise, plosives, sibilance, proximity effect, or a noise floor are. And they probably don’t care. But you know what? If you hire someone to voice a corporate video, on-hold messaging, or some other project, you don’t need to know these things, so you really don’t need to care. Last weekend, I was speaking to a professional photographer who has been working in the business for a couple years and is still trying to build up her portfolio. She told me what she normally charges for certain projects, which is slightly less than average, and then followed it up – almost sheepishly – with why she felt justified charging those rates. “People just don’t know all the work that goes into it!” she said, exasperated. Just one on-location event, she explained, requires time spent prepping the schedule, knowing who to take pictures of and when, who they want the pictures taken with, what activities during the course of this event need to be captured, and any other bits of pertinent information. Then there’s culling the hundreds of photos taken to pull the best ones, editing and touching up those pictures, and making sure every photo she sends to her client looks as good as possible. And of course, the gas driving to and from events, the cost of her equipment and materials, and the fact that she actually needs to make a bit of a profit to keep doing it. She said when she quotes a few hundred dollars per hour, some people will scoff at the cost. Others who do hire her will often be calling her up the next day, wondering where their photos are. I told her I knew exactly what she meant. Lower rate = less services? Getting back to why professionals like my photographer friend and me exist…it’s because we worry about the details that others don’t. As I thought about all the things I provide under the umbrella of my rates, it occurred to me that if I was going to lower my rates considerably, I would need to forego some of the services I provide. Otherwise, I would be working, working, working non-stop for less and less money. Personally, I didn’t like that option. If I charge $300 for a 15-minute corporate video narration, I’m going to provide script prep (checking for errors, stressed lines, etc. ); I’ll record the audio on professional equipment at the sample and bit rates requested; I’ll edit mistakes, clicks, and plosives (those annoying ‘pops’ when someone utters a word starting with “P”); I’ll sweeten the audio, if requested, with EQ, compression, or delay effects; I’ll mix it all down and send it to you in the audio file format of your choice (.wav, .mp3, .aiff, etc. ); and with the exception of long-form narration, I can usually have it back to you in less than 36 hours. All for $300. I’d say that’s a pretty fair price. 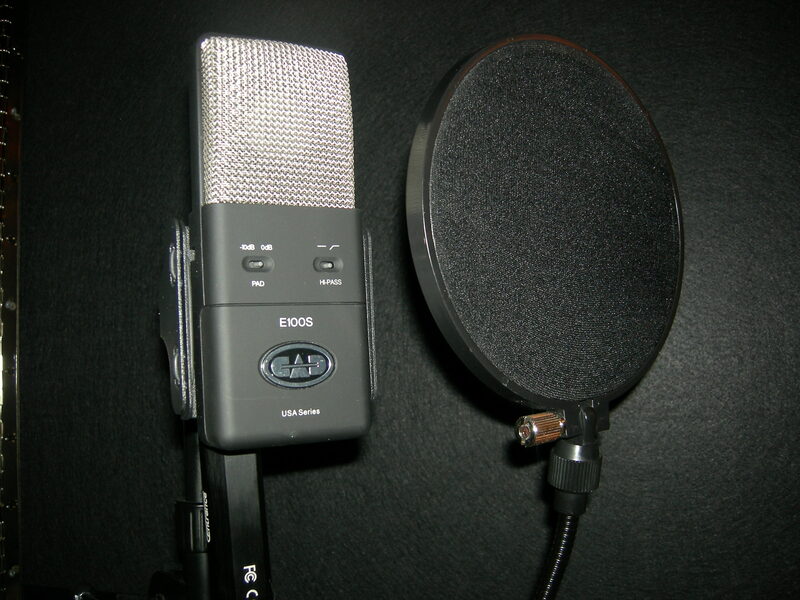 So when I see another voice talent charging only $50 or so for the same thing, I have to wonder what it is that I’m providing that he or she is not. What part of the service is being dropped or diminished, so that the talent can make such a low rate profitable? Do they not have the time or experience to be able to prep a script? Are they not using professional equipment? Do they even know the difference between sample rates and bit rates? More importantly, do you care whether or not they care? If you do…research who you are hiring, and don’t hire on price alone. If you come across someone with a rate that seems high to you, spend some time thinking about all the behind-the-scenes work that goes into a rate like that, and then compare that to the super-low rate your found on one of those quick-and-easy freelance websites. Perhaps you’ll find someone who does a great job and you’ll get a great deal. Perhaps, instead, you’ll wish someone else had done it. Or worst of all…perhaps someone else will need to do it. I can’t believe a week has already flown by since my new daughter, Phoebe, arrived. It’s been a busy week, too: getting adjusted to having a baby in the house, helping our 3-year-old to become acclimated to the concept (he’s a great little big brother), plus helping my wife as much as possible while she recovers from her C-section. All this on top of trying to run my voiceover business while prepping for a big, 5-day-gig as the announcer at the local state fair Labor Day weekend. Oh, and did I mention that on Wednesday I dropped a 6-foot, 8-inch diameter log on my left big toe, splitting the nail in half? (Yeah, that was a big, fat ouch, let me tell you). So it’s been a crazy, crazy, crazy busy week. I’ve had the idea for this poem since she was born, by the way – but considering all of the above, I didn’t have time to put it to paper until last night. Normally, I don’t share first drafts, but this is actually a 3rd-draft, and I’m fairly happy with it…although I’m sure I’ll tinker with it again tomorrow, and the next day, and next week, and…well, you know how poets are. Gotta run…I hear a baby crying! For more poetry, visit today’s Poetry Friday hostess, Betsy, at I Think In Poems! 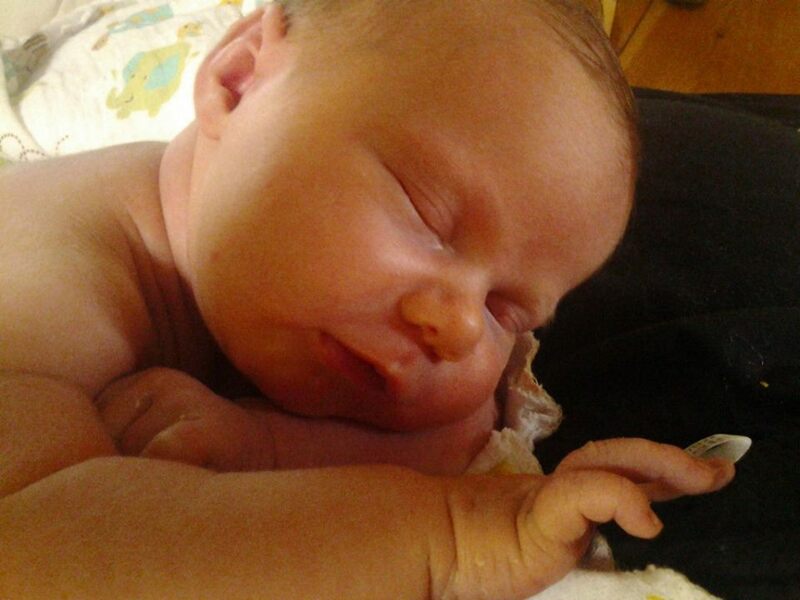 Phoebe Kenna-Rose, on her 1-week birthday. And yes, those cheeks ARE exceedingly pinch-able. I think if I hear another restaurant commercial with these phrases in it, I’m going to do something embarrassing, loud, and possibly violent. And we don’t buy any of it. What’s that, you say? You use quality ingredients? Oh, what a relief – your competitors down the road probably use really crappy ones. A friendly wait staff? Wow! I had gotten so tired of dealing with the witches at all those other restaurants. EVERY sale is an inventory reduction sale! That’s the point of a sale – to reduce the inventory!! It was a new Italian-American restaurant that was opening soon, and they wanted radio commercials that would get their selling point (or, Unique Selling Proposition) across without sounding like every other commercial out there. Yes, they served delicious food made with quality ingredients, had a comfortable atmosphere and reasonable prices…but we couldn’t say that because no one would believe it. And if you serve good food with nice people – how do you set yourself apart from all the other places out there? I think that first line of the first commercial was what sold the client on my approach. Telling the listener to “go ask mama to make you something” completely turns the tables on the “home-cooked food” cliché, and sets the tone for the rest of the spot as well as the other two. The client was happy, the radio station was happy, and so was I! Just remember that when it comes to clichés, every cloud has a silver lining. When life gives you lemons, make lemonade; it’s for the best. If the cat has your tongue, take one step at a time – what’s the worst that could happen? And if you don’t succeed, try, try again. Did you like this post? Find anything interesting somewhere in this blog? Want to keep abreast of my posts? Then please consider subscribing via the links over here on the right! (I usually only post twice a week – on Tue. and Fri. – so you won’t be inundated with emails every day!) You can also follow me via Twitter or on Facebook.